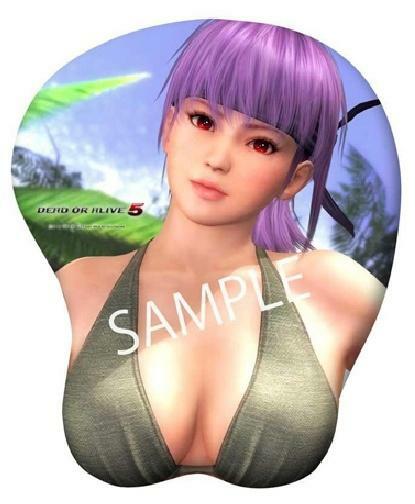 «©NCSX» Femme fatales Ayane, Hitomi, and Kasumi of Dead or Alive game fame are bringing their bosoms to the computer accessory market with mouse pads by Koei Tecmo Games which ship in the Japanese marketplace this December. The perky portion of each 26 cm x 22 cm (10.26 x 8.66") mouse pad is filled with a cushioning gel material to help computer users avoid the dreaded effects of carpal-tunnel syndrome. Preorders ship in December at JPY4,000 or US$56.90 each.